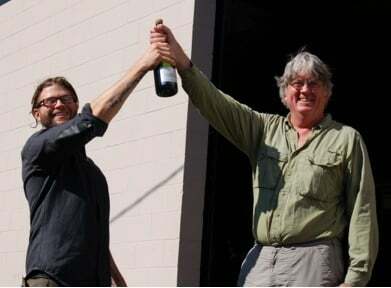 EcoSpeed GM Brad Davis (L) and owner/founder Brent Bolton celebrating. Southeast Portland based EcoSpeed has been making top-notch, American-made electric-assist bikes for over 10 years. 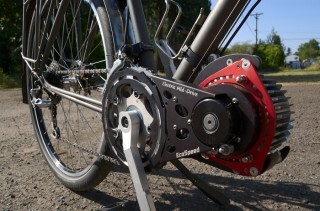 Their product allows you to turn just about any bicycle into a zippy e-bike. Brad Davis (GM) and Brent Bolton (owner) are literally powering a revolution in bicycles and personal transportation. But one challenge of their product and business model is that they make each unit by hand, one-at-a-time. This means the cost is high and it’s hard to expand with demand. They launched a Kickstarter campaign last month to raise $75,000 in order to create a “true production line” where they can build in batches of 50 units. Thanks to the enthusiastic and inclusive (they fit almost every type of bike imaginable) spirit displayed in their Kickstarter appeal, Brad and Brent have blown past their goal and are currently well over $87,000 raised! Congrats to the entire EcoSpeed crew. We can’t wait to share what they do next. Rich Fox and his Circa. Local bike company Circa Cycles chose a different crowdfunding route. 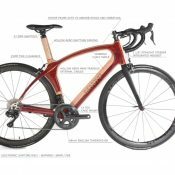 As we shared back in August, they turned to Crowd Supply in hopes of raising $50,000 they hoped to use to “re-imagine” American bicycle manufacturing. In a email to supporters this week, owner Rich Fox said that although the campaign didn’t reach its goal (just $4,790 was raised), he still plans to move forward in hopes of bringing his bicycles to market. Now he plans to consider other options to raise capital, including a possible pre-sale program. 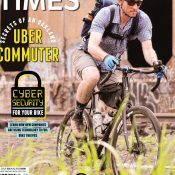 If you’d like to be one of the first 25 people to own a Circa, check out RideCirca.com or email Rich (rich@ridecirca.com) to get on the list. 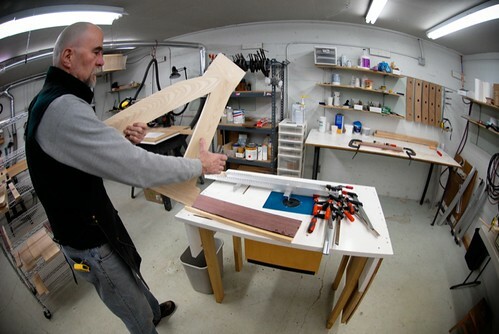 Renovo founder Ken Wheeler laying out a custom hardwood frame. Hardwood bicycle maker Renovo is shifting its operation from custom to production, or what they call “Ready-to-Ride.” Since they debuted 7 years ago, Renovo has seen its business flourish. Their exquisite wooden frames have garnered them lots of attention — from a partnership with Audi to a retail location in ritzy Sausalito, California. Beginning this month, Renovo has started offering stock bicycles with pre-selected wood combinations, sizing options, and component builds. 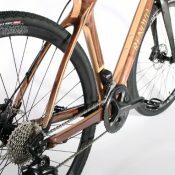 Check out the new RenovoBikes.com to learn more. Curtis Williams of North St. Bags has always impressed me. I could tell from very early on that his company was bound for big things. I’m extremely happy to hear that he’s growing and expanding! His southeast Portland studio buzzes with seamstresses, his bags are now in 11 bike shops around the country (and even in Japan! 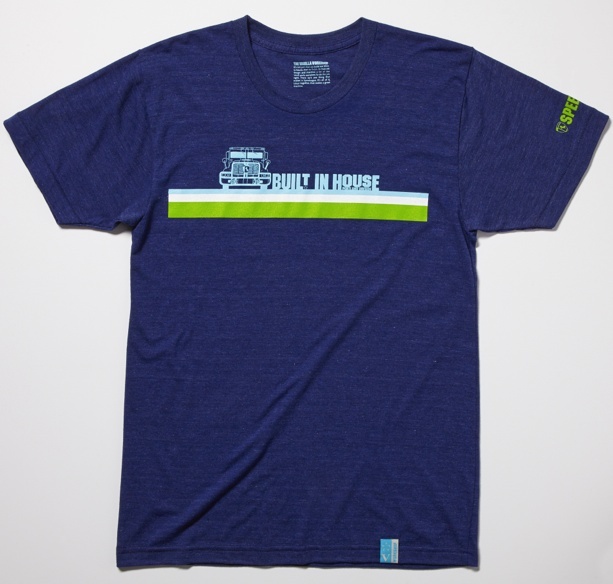 ), and the product line is always expanding and improving. To keep his growth on track, Williams has turned to an innovative loan strategy offered by Community Sourced Capital. The site allows anyone to buy a $50 “square” to contribute to the loan. North St. hopes to raise up to $20,000 to buy new equipment, improve his small factory, and make other investments that will allow his staff to keep up with demand. You can help North St. reach their goal at the campaign website. The Vanilla Workshop — an extension of famed builder Sacha White’s framebuilding business, Vanilla Bicycle Company — has unveiled their “Built in House” collection. Vanilla’s marketing guy Tom Rousculp says the first phase of the collection includes a t-shirt, patch, and a set of water bottles (also known as bidons). All three products are available online in the new Vanilla Workshop store. Former Tour de France winner and American legend Greg LeMond is mounting a comeback into the bike industry after a falling out with Trek over the Lance Armstrong saga. 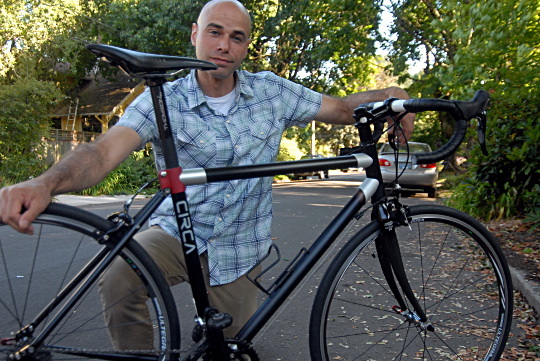 Late last month he launched a new line of steel road bikes, and according to a report by Bicycle Retailer & Industry News magazine, the bikes will be made right here in Portland. 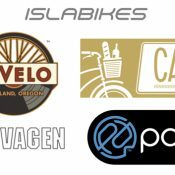 Zen Bicycle Fabrication will make the Washoe. 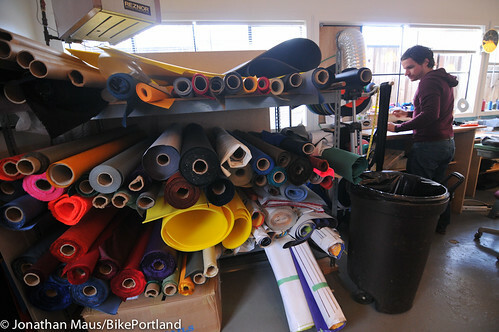 The company opened their doors in Portland in 2011 and makes bikes for a number of brands (most of which are kept secret). yikes… thanks Harald! Fixed it. I love my USA made Lemonds and their frame geometry. Sadly, Sapa closed it’s bike frame division & Ellsworth no longer manufacturers in the PNW. But we continue to offer brands a US made alternative to overseas frame manufacturing right here in PDX. Now THAT’S typo of the week, by a landslide! Jeez, just go away Greg LeMond. We’ve moved beyond steel bikes and bitter men. Greg LeMond isn’t bitter. He is correct. personally I just like anything thats not a hub motor, or that interferes with the frame. I know there is a debate over E-bikes atm but where I come from this debate has been won, by E-bikes, and I have to say it brings a lot of new cyclists onto the road, for better or worse time will tell. I’m curious…what exactly has been “won” by E-bikes?